1893, Chicago World's Columbian Exposition, survivor.. 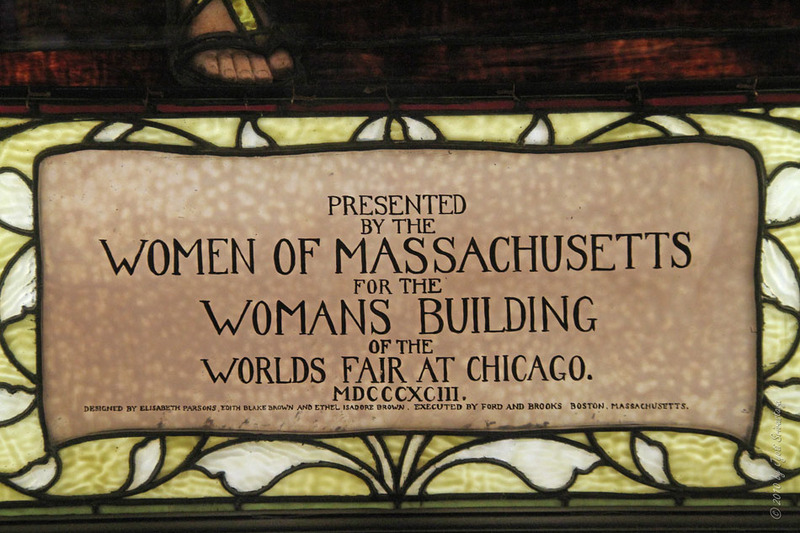 It was the center piece of three-piece window from Massachusetts installed in the Woman's Building. 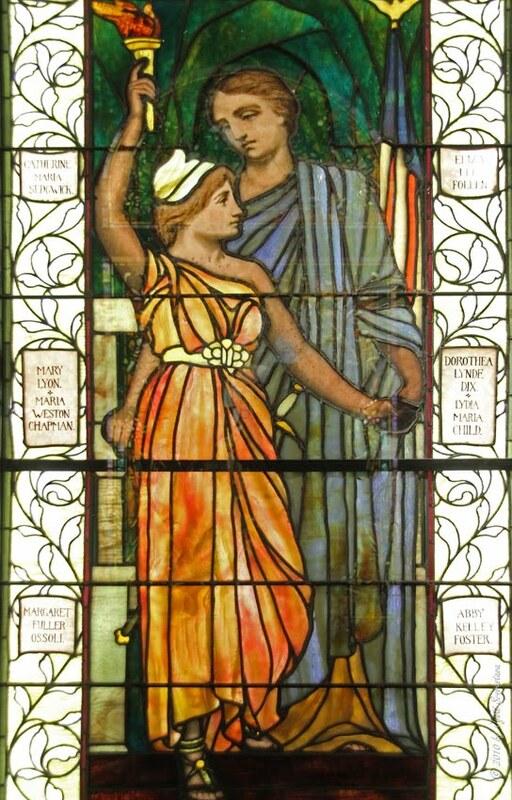 The window is an early and major statement of American feminism. Now at "Smith Museum of Stained Glass Windows" at Navy Pier.. 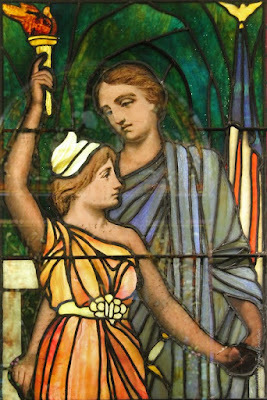 The central composition depicts the allegorical scene entitled "Massachusetts Mothering, the Coming Woman of Liberty, Progress, and Light". 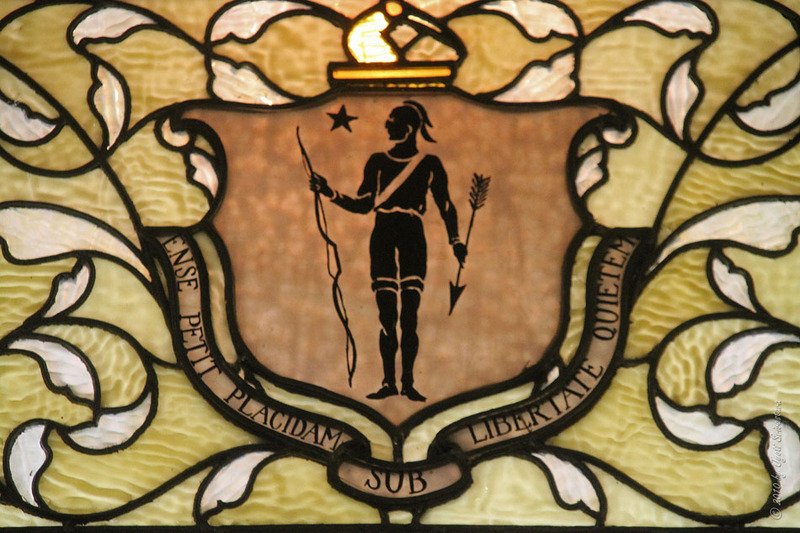 The figure to the right, the older of the two, is personification of Massachusetts, is one of the inspiring states of the early United States, to the younger woman on the left representing the coming woman, the woman of future. 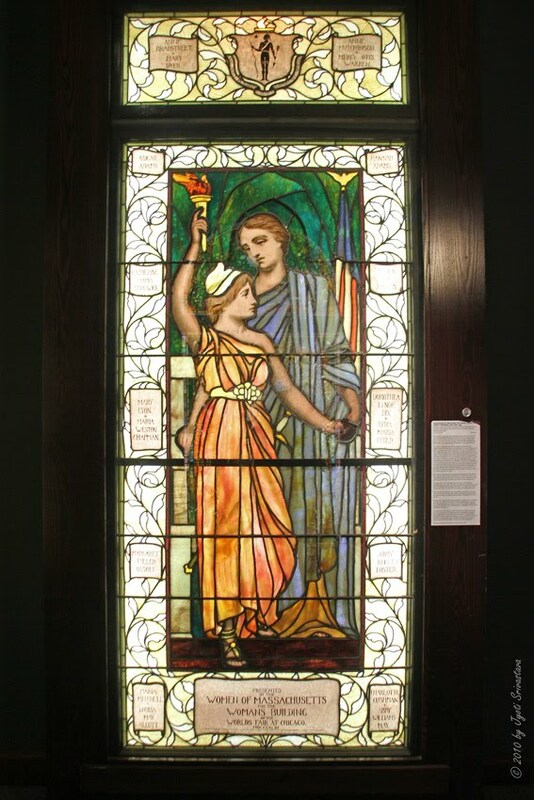 The young woman, as a personification of freedom wears a liberty cap [Frigian Cap] and holds a torch lighting the way to wisdom and knowledge. 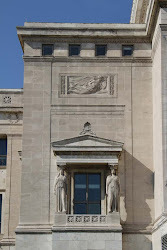 In brief, the window represents the three key elements argued for by women at the Exposition and represented by the building..
- Progress made when this is accomplished..
As she steps from the level of the older woman, she is the woman of the future. 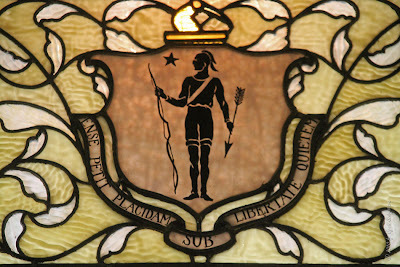 Designed, signed and dated by Elizabeth Parson, Edith Blake Brown and Ethel Isadore Brown. Fabricated by Ford and Brooks of Boston, Massachusetts, 1893. Nice find! I love finding world's fair remnants and have waymarked several. Will add this to list to visit. FYI typo"Exoposition." 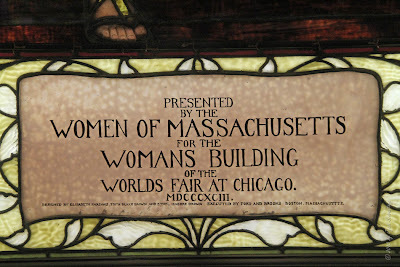 I understand World's Columbian Exposition is a fixation for many Chicagoans!!! Louis Sullivan's Ann Halsted Row Houses..